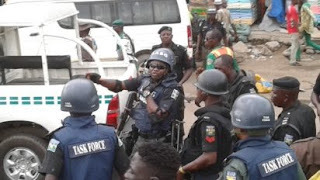 Eight herdsmen have been arrested by the Benue state police command in connection with New Year Day’s attacks on Guma and Logo Local Governments in which 17 people died. The command’s Spokesman, Mr. Moses Yamu, said on Wednesday in Makurdi that the attacks were carried out between December 31 and January 1, 2018. “Eight herdsmen – six in Guma and two in Logo – have been arrested in connection with the attacks. “Proper additional deployments are made to the troubled area and its environs for monitoring, in order to forestall further occurrence and to restore confidence in the minds of the people,” he said. The command noted that investigation was on-going and the situation was under control. Yamu stated that seven members of the Benue State Livestock Guards were killed in the attack. “They attacked Tomater village in Sengev Council ward; Akor village in Nzorov council ward; and Bakin Kwata village in Umanger council ward of Guma local government. According to the PPRO, the Command acted promptly by deploying five combined teams of mobile and conventional Policemen to the scene in Guma. The team, he explained, was led by the Assistant Commissioner of Police in charge of Operations, Mr. Emmanuel Adesina, and engaged the armed herdsmen in a gun duel, forcing them to retreat. The Benue Government on May 21 signed into law Anti-Open grazing law which took effect on November 1, 2017.